All The News, All At Once! DH:LoF card game Frankenstein’s Bodies launches on Kickstarter! 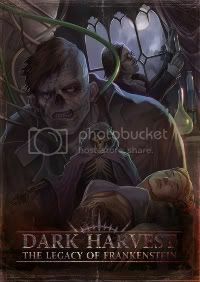 Dark Harvest gets a new publisher! Anthology now on Kindle store! Thanks to Tim and Salome at Ghostwoods, the DH:LoF Anthology is now available on Kindle stores both in the UK and the US. Follow the link to find the details.